The unique focus of the event is to speed up the adoption of printed electronics by bringing together end users with suppliers across the value chain. We have end users from many verticals presenting on their requirements, case studies and lessons of using the technology, providing that vital voice of the customer. Speakers include: Diageo, ABinBev, Airbus, Altran, Continental, Schreiner MediPharm, Google, United Technologies, Visionox, Sony, Microsoft and many more. The event, which will also feature over 200 exhibitors, is hosted by IDTechEx, the global advisory and business intelligence research firm, which focusses on providing impartial market and technology assessment to clients. 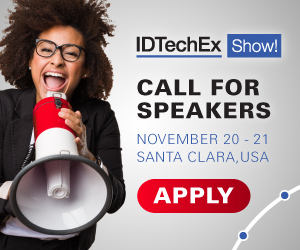 IDTechEx analysts construct the agenda and cherry pick the leading speakers from around the world to ensure that the latest trends and opportunities are aired for attendees, providing valuable insights. Business professionals responsible for growth, business development, product development, business leadership, research leadership and technology scouting will be attending to explore new opportunities for the organizations they represent. Don't miss this annual event in Europe to see in one place the latest innovations and meet customers involved throughout the entire printed electronics industry. Printed Electronics Europe will be held at the Estrel Convention Center in Berlin, Germany, on 10 & 11 April with expert led masterclasses on 9 April and 12 April. Register now to attend from just €99 if you book before 5 April. For more details see www.PrintedElectronicsEurope.com .